At Sandy Pines, volunteers are the lifeblood of our institution. We simply could not help 4000+ animals a year without them! Our volunteers make what we do possible, and without their efforts, we would not have accomplished all that we have, and all that we will in the future. Thank you for your time, energy, passion, dedication, and most of all your support!!! 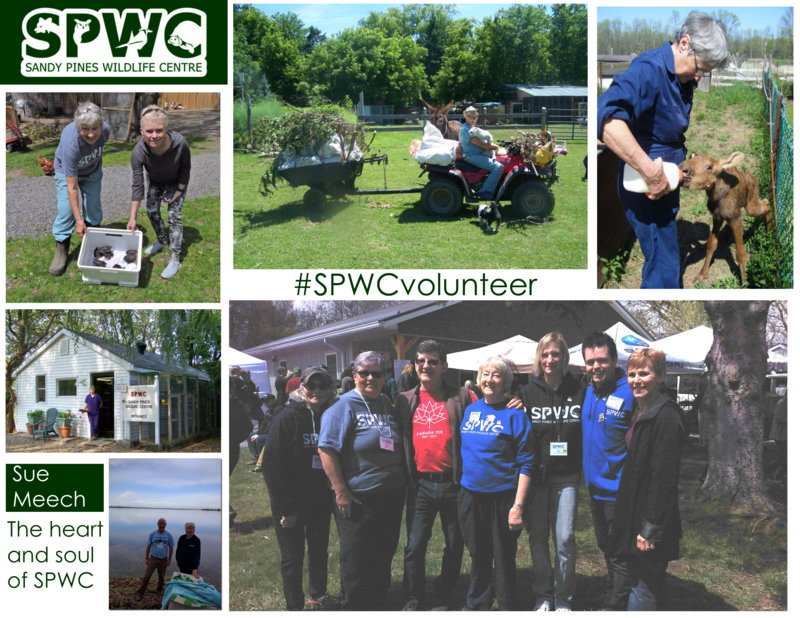 To learn more about our volunteers and how you can help at Sandy Pines Wildlife Center visit our Volunteer Page. 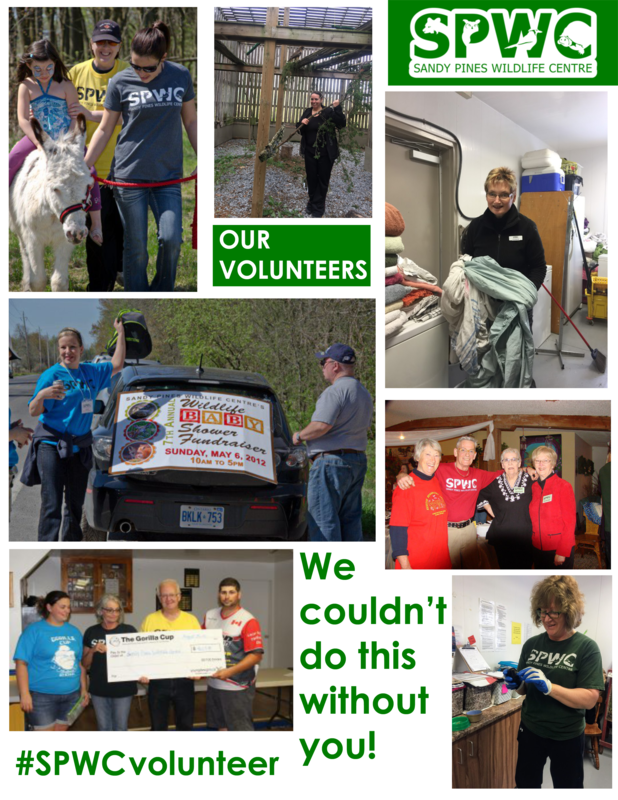 We would like to thank all our volunteers again, for everything they do for Sandy Pines! Sue Meech founded Sandy Pines Wildlife Centre, without the intention of creating a large organization dedicated to giving wildlife a second chance. She started with the care of a litter of raccoons, and as the years went on, she continued to rise to the need. It became obvious to her that there was no one to care for injured and orphaned wildlife, and she answered the call with great dedication. Since its founding, Sue has never taken a wage and has dedicated herself full time to the cause. This is why we celebrate Sue Meech, Sandy Pines first and most dedicated volunteer. Thank you, Sue, it is an honor and a privilege to work with you and to learn from your example.